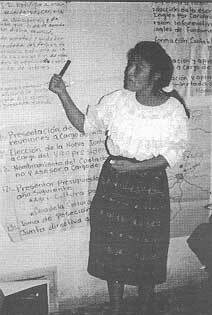 In Guatemala on October 8, 1996, eighteen founders signed incorporation papers legally forming the Fundación Agri-Cultura Marcos Orozco. The "Agri" portion of this Mayan foundation is dedicated to the preservation of Guatemala's environmental resources, while the "Cultura" portion is committed to preserving Mayan culture. The officers of the foundation are all Mayans. The foundation's name honors Marcos Orozco, a great Guatemalan Mayan teacher and scientist who is known throughout Central America as the "Father of Soil and Water Conservation." The foundation, also known as FUNDAMARCOS, will continue teaching the methods for maintaining natural ecosystems developed by Marcos Orozco. 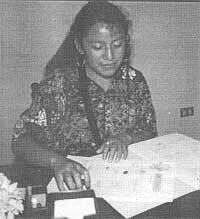 FUNDAMARCOS is a multi-faceted program established just prior to the signing of the peace accords between the Guatemalan government and opposition forces in December 1996. Under these accords the Mayan people of Guatemala were recognized as equal under Guatemalan law for the first time since the Spanish conquest over 500 years ago; and, for the first time, Guatemala officially recognized itself as a multiracial, multiethnic and multilingual society. After 36 years of war and 150,000 deaths, the historic signing of peace accords has opened a unique window of opportunity for achieving human rights and building positive peace in Guatemala. At the same time, there is an urgency to deal with the underlying racial prejudice and economic problems. To help fill these needs, the mission of FUNDAMARCOS is to promote peace, the Mayan cultural heritage, sustainable development, and preservation of the environment through both action and education, and by encouraging cooperation among organizations involved in these areas. FUNDAMARCOS initiated a comprehensive ten year conservation program in February of 1998 to protect the dwindling water supply of the most important endangered watershed of Guatemala, the Rio Motagua including its headwaters. Working through municipal governments in three states, FUNDAMARCOS is promoting soil and water conservation and teaching practices of sustainable organic agriculture. Felipe Tómas and Manual Huz, students of Marcos Orozco, serve as training coordinators for this program. Each brings 25 years of experience workinging some of the most successful sustainable agriculture programs in Central America, Mexico and the Caribbean. Tree planting with the establishment of community nurseries is a vital aspect of reestablishing forest reserves. Workshops are being given which emphasize the importance of women in community organization and encourage their participation in the decision making process. The entire target population is strongly encouraged to assume the role of problem solvers as a model for the building of a true democracy. To provide a vehicle of racial understanding and reconciliation. La Casa will reach out to the nonindigenous (ladino) population of Guatemala, especially to school age children. The goal is for ladino children to develop pride in the Mayan contributions to their Guatemalan culture and identity. To present Mayan interpretations of Mayan culture for international tourists. Mayans, for the first time, will present their interpretations to tourists who visit Antigua, the most visited tourist destination in Guatemala. The museum will generate income that will create a revenue base for the long term self-support of FUNDAMARCOS, especially work in natural resource conservation. To preserve, esteem and promote all expressions of Mayan culture, including Mayan dress, language, music, dance, art, agriculture, cuisine, and community values. For Mayans, La Casa seeks to be a beacon for cultural survival at a time when their culture is threatened by values alien to Mayan identity and traditions. Make a tax deductible donation for operating expenses. 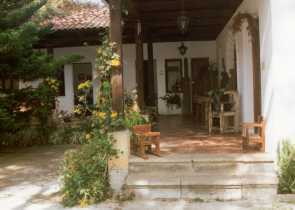 Join a study tour to Guatemala. Buy reforestation seedlings: $20 will plant 100 seedlings. Become informed: Reading list available upon request. Contribute high quality Guatemalan textiles for repatriation to La Casa de la Cultura Maya. Volunteer: A limited number of internships are available. 100% of all donations will be sent to FUNDAMARCOS in Guatemala. FUNDAMARCOS is a non-governmental, not-for-profit, apolitical, private, service institution registered in Guatemala.